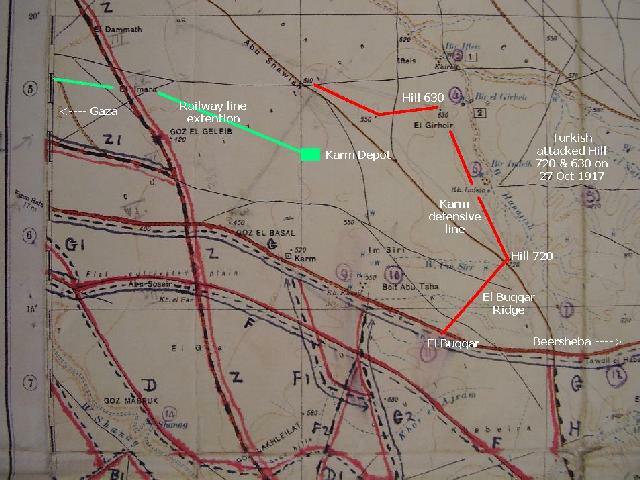 The completion of Karm Station on 25 October 1917 put the last logistical piece of the projected break out plan. 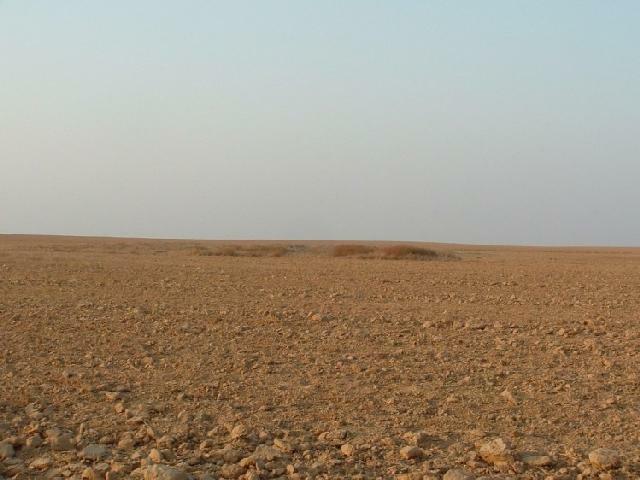 For the next month, Karm provided all the material necessary to supply the offensive. Its role was superceded to a great extent when Jaffa was taken and a sea port was available for large volumes of freight for the Allied force. However, that was the future. At the time the station was opened, it was pivotal in providing the infrastructure for success at Beersheba and the battles that followed from this victory. The location of Karm Station in relation to the surrounding countryside. 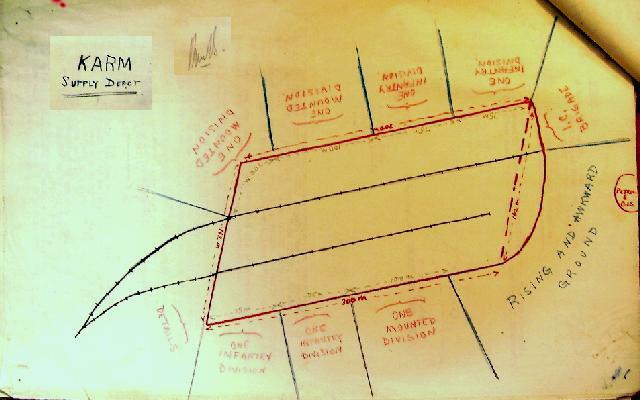 Karm Depot layout for resupply of formations. Since Karm served no other purpose than as the Allies supply depot, once the importance subsided, it faded away into the dust from whence it came. The last picture is of Karm Station illustrating the remaining earthen platforms, all that remains. The picture looks towards the north east illustrating the surrounding countryside which has little changed since the Allied forces filled it with men and horses.